Leapin Lizards! 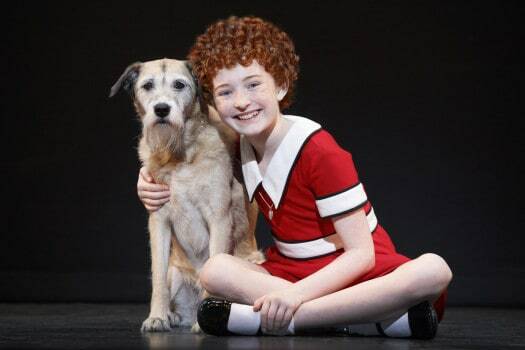 Broadway Across Canada is bringing the production of Annie the musical to Edmonton at the Jubilee! Join the firey orphan Annie, her dog Sandy, Oliver ‘Daddy’ Warbucks and other characters as they sing their way through the production. Sing along to the inspirational song ‘Tomorrow’ and the song that pretty much defined the life of Annie as an orphan ‘It’s a Hard Knock Life” among other great songs! I have teamed up with Broadway Across Canada to give you the chance to win 4 tickets to the 3pm performance of Annie on April 30th. All you need to do is show us your best Annie pose on Facebook, Twitter, or Instagram (or all 3). Follow the links in the giveaway to enter!